Until recently, Burnside Park faced challenges similar to many public spaces of its type—a small number of adults dominated the space with little engagement by other age groups. The park had few activities or amenities for families or children. In 2013, Southwest Airlines Heart of the Community Program and Project for Public Spaces (PPS) worked with the Downtown Providence Parks Conservancy (DPPC) and the City of Providence to expand family-friendly activities in Burnside Park. Located in the heart of downtown Providence adjacent to Kennedy Plaza, the well-maintained space was ripe for change. 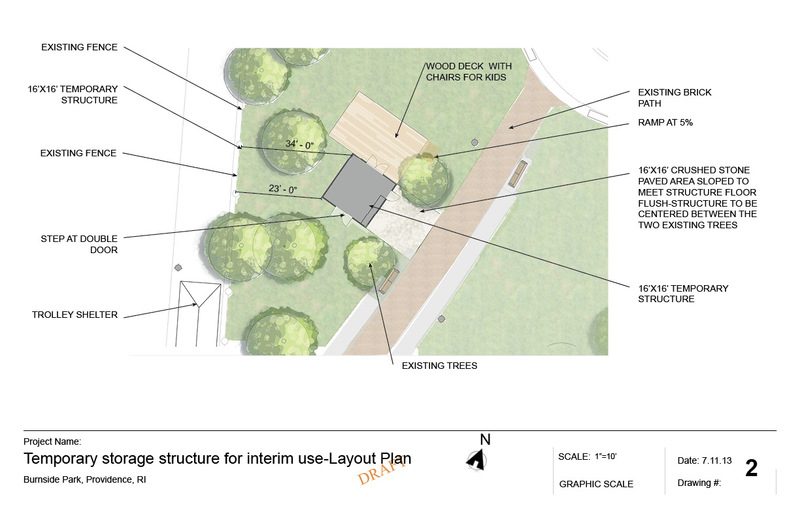 PPS facilitated a series of community placemaking workshops to help create a vision for Kennedy Plaza and the surrounding park and civic spaces, including Burnside Park. 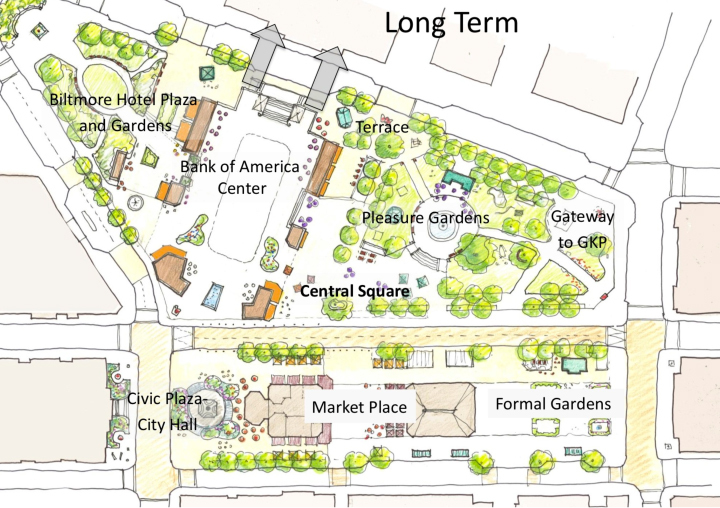 The workshops helped inform a long-term vision to connect all of these public spaces into one larger, more cohesive place called Greater Kennedy Plaza. 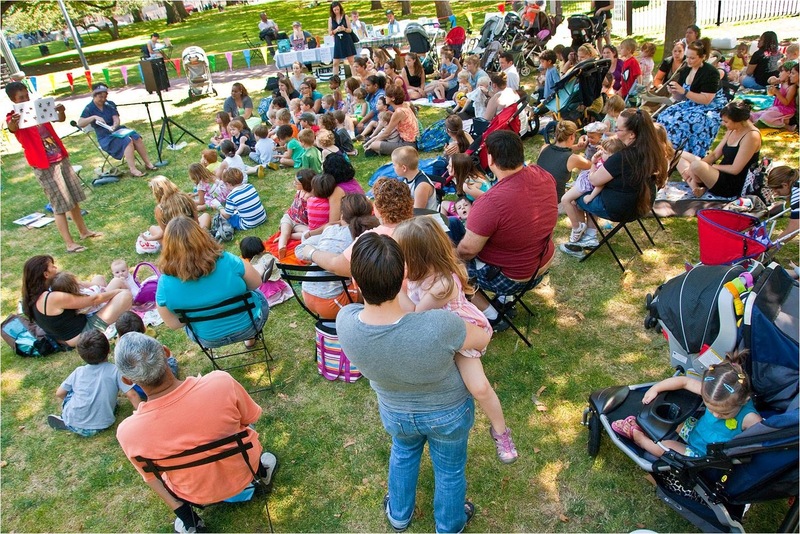 While planning for these long-term improvements, the Downtown Providence Parks Conservancy began to implement a series of “Lighter, Quicker, Cheaper” interventions in Burnside Park, including a weekly farmer’s market, lunchtime food truck market, regular family activities, a weekly beer garden and concert series. 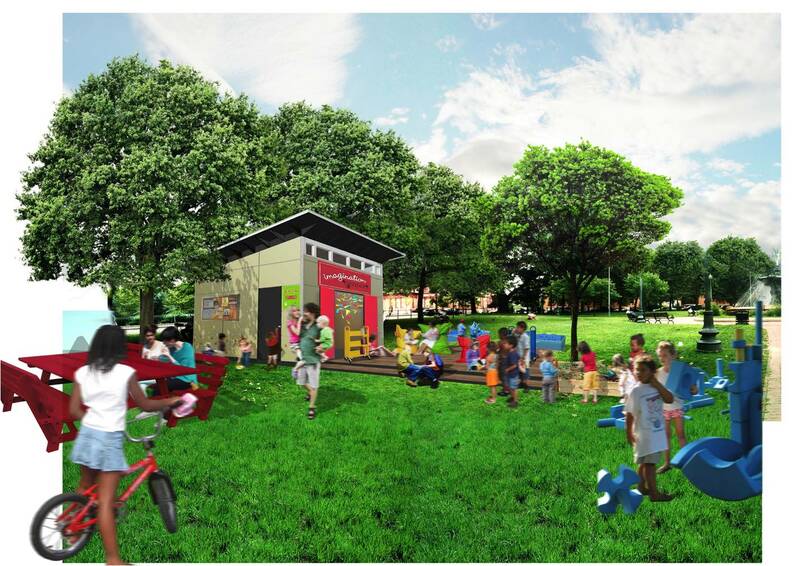 Another major change to Burnside Park was the addition of the Imagination Center. A small building with a deck helped support programming in a variety of ways; from storage of play materials and equipment for programming to shelter and work space for smaller activities. It quickly became a landmark for activity in the park, the spaces around it becoming play areas filled with moveable seating. 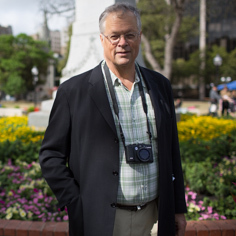 It strengthened DPPC’s presence in Burnside Park, and allowed them much greater ability to support a wider variety of programming in the space. The Imagination Center also broadcasts the positive changes happening in the space and has led to new partnerships. For example, in the winter of 2014 a local artist saw the Imagination Center, and without knowing much about the history of the space, volunteered for the upcoming season — soon becoming an important programming partner for DPPC. The Southwest Airlines Heart of the Community grant helped to catalyze investment in the park, including the 2017 construction of a new playground immediately adjacent to the Imagination Center, called Brandon’s Beach. PPS has also recommended further steps for Burnside Park, including the creation of a semi-permanent space for food/beverage vendors in the Imagination Center or nearby. Families and kids are now drawn to Burnside Park. 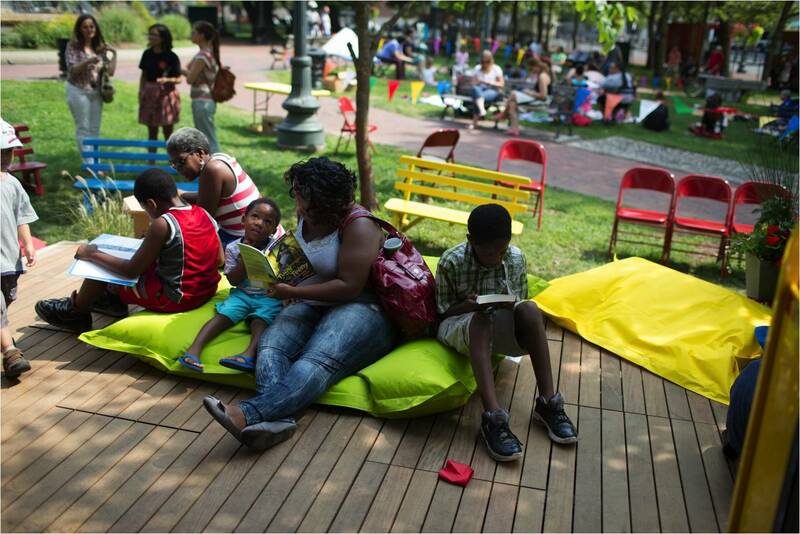 Greater Kennedy Plaza, a series of destinations now knit together under a new name, is full of family-friendly spots like Burnside Park. The new Imagination Center added play elements to the park. Renderings of the Imagination Center.